An emergency communications plan (EC plan) is a document that provides guidelines, contact information and procedures for how information should be shared during all phases of an unexpected occurrence that requires immediate action. 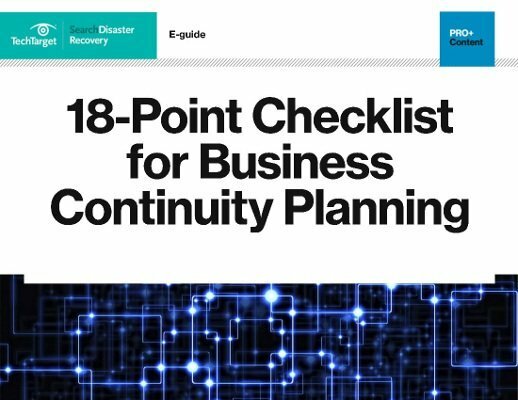 A strong EC plan provides step-by-step instructions for how to deal with a crisis. The plan identifies important people and their backups, explains how information should be communicated and documents what procedures will be enacted to track and share company and individual employee status. The plan should document instructions for staying in place or evacuating the building. Should evacuation be necessary, the plan should also include meeting points outside the building for employees to assemble and specify how status updates will be delivered to both employees and interested third parties. In the event of an emergency, an EC plan must be able to launch quickly, brief senior management as soon as possible, communicate information to all interested stakeholders and anticipate the need for changing communication channels as events develop. The plan should address ways both electronic and non-electronic communication channels can be used to disseminate information. This includes announcements over a building paging system, automated text message or email alerts and pre-recorded robocalls. Should electronic communication channels be available, social media and the organization's website can also be used to communicate emergency information. Although automated emergency notification systems can enhance the EC plan, a traditional landline call tree should also be part of the plan in case Internet or cellular service is disrupted. An effective EC plan should have the support of management and address a variety of emergencies, ranging from sudden severe weather to bomb threats to an active shooter in the building. Organizations should regularly test, review and update the plan as needed, making sure everyone can perform their roles and responsibilities correctly. What is the most important element of an emergency communications plan? I would say its accessibility. Where is it? Does everyone know where it is and how to get it? Does everyone have access to it? Is it on paper that might be damaged by fire or water? Is it electronically stored, which might be unavailable in a power failure? Open, clearly defined, well explained paths of communication. PathS. Plural. Many sources for the same data with clear instructions. The best information is valueless if people can't find it or know how to use it when they finally get to it..